There’s nothing better than stepping out for the day or night knowing that your makeup is on point and you look fabulous! 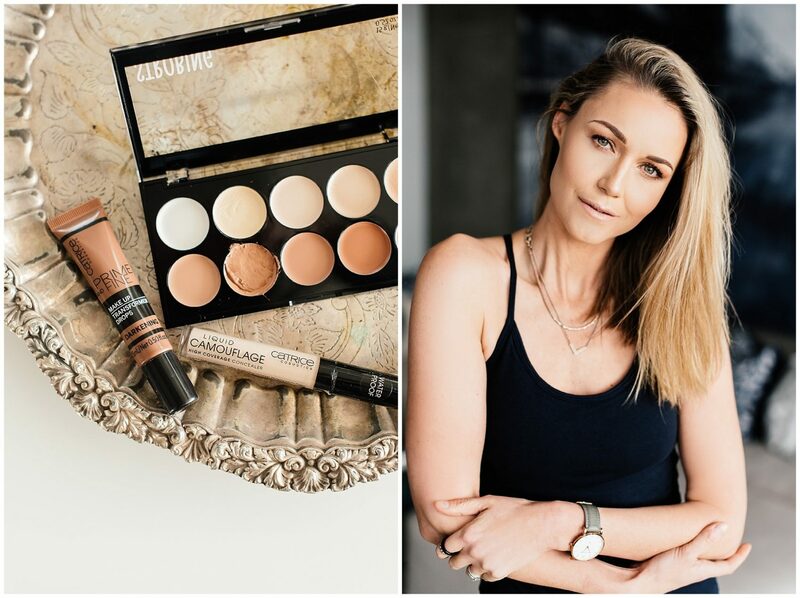 My sisters and I have always spoken about how much we’d love to learn how to contour our faces properly using all the right products and this led us to team up with CATRICE by Cosmetix South Africa for a little tutorial. We love CATRICE due to the fact that they have really amazing products which are super affordable for everyone to use. WINNING! Contouring your face helps to define your features, creating the appearance of higher cheekbones and a slimmer nose and chin all whilst trying to make it look as natural and polished as possible. You want to start by prepping your skin so make sure you remove any makeup, wash your face and pat dry with a towel. Apply your favourite moisturizer and let it soak in for a few minutes before you start applying your makeup. Using a foundation the same (or close) colour to your skin evens out your skin tone and creates a perfect base you can build upon to contour with the lighter and darker shades. Contouring your face without applying foundation first is more difficult since the skin tends to be slightly uneven in colour. TIP: La’eeqa told us to try not mix cream and powders so if your foundation is cream based then use cream based products for highlighting and your darker tones for the areas you want to create shadows with. Make sure that you have a really great blending brush or sponge so that everything blends evenly. With that said, I sometimes find it easier to just use my fingers to apply my foundation and blend because the warmth from your fingers will help the makeup blend smoothly. 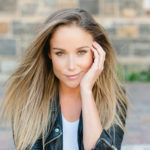 Apply your base coat of foundation which is the one in your natural skin tone all over your face stretching all the way to the top of your forehead to under your chin and onto the neck so that you have no lines separating your face from your neck. You can apply a concealer at this point aswell focusing under the eyes if you’re worried about dark circles and any unwanted spots you may want to cover. Apply a lighter foundation (never going more than 2 shades lighter than your natural skin tone) to places on your face where the sun would naturally hit. Apply the darker foundation (also no more than 2 shades darker than your natural skin tone) to the places where your face would be naturally shadowed from the sun. 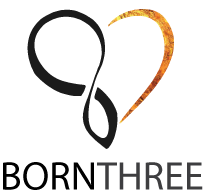 A good tip is to work in the form of a 3 starting from the centre of your forehead, going towards your temples, then back in under your cheekbones and back out again towards your ear finishing off under the jawbone to the centre of the face. Blend your makeup well using your blending brush, sponge or your fingers but take care not to spread things out too much as you want it to kind of stay in the areas it’s intended for. You want to make sure that you can’t see any sharp lines between the different coloured foundations. If you want to add a little more highlighter to your face to enhance the look then you can at this point. Focus on the areas where you applied the lighter foundation to start off with. Be careful not to use too much highlighter though as you don’t want to look like a glistening mirror ball- haha! To add a bit of colour to your face you can always apply some blusher to the apples of your cheeks but always remember that less if more when it comes to blush so take it easy. 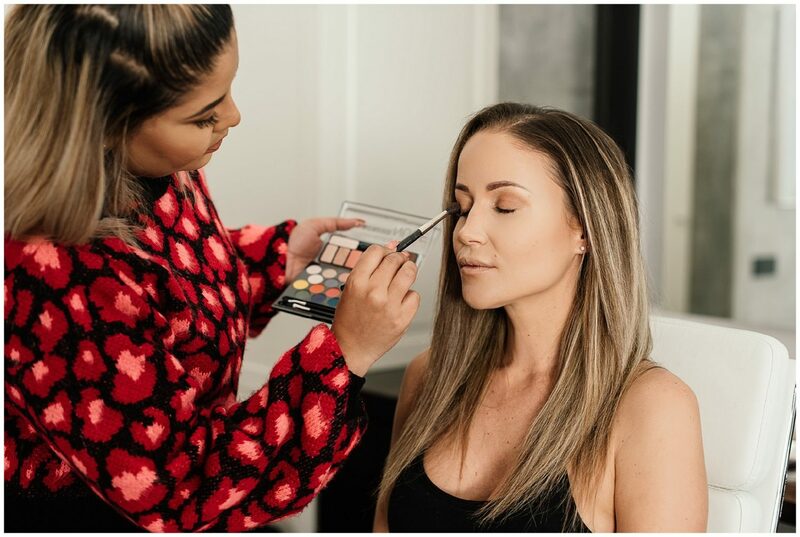 Another fantastic tip that we learnt from La’eeqa is to finish off your contouring process with a makeup setting spray to keep everything in place and make your makeup last. If you’re using cream based foundations then a matte setting powder works like a charm to seal everything in for that flawless finish. Once your foundation is set you can move on to your eye makeup, lips and brows. I always stick to the rule of “heavy eye, light lip” or “light eye, bold lip” because if you do both a heavy eye and bold lip one tends to look VERY overdone. Apply some natural eyeshadow colours and eyeliner if you want and then finish it off with loads of mascara (making sure you don’t have clumps) to open up your eyes. Try keep your brows as natural as possible whilst still having them defined because a great shaped brow can really change your whole face. I personally prefer using eyebrow pencils as I feel I can control my angles more but using a great eyebrow brush with powder is also absolutely perfect. Bang on some lip colour and a splash of gloss and you’re good to go! !